DoingTimeWithBernie.com: Joe Tacopina v Bernard Kerik Defamation Suit; What is felon on probation Bernard Kerik hiding? 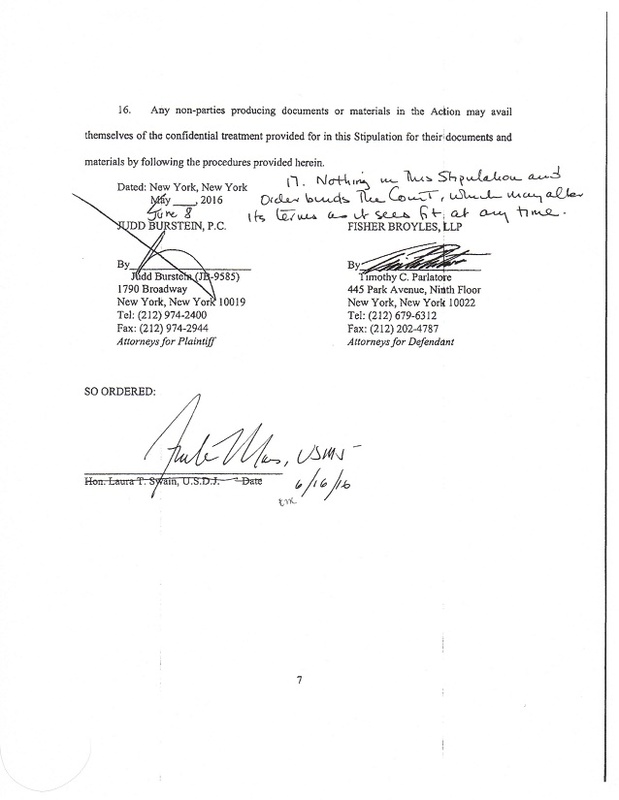 Joe Tacopina v Bernard Kerik Defamation Suit; What is felon on probation Bernard Kerik hiding? When felon on "supervised release" Bernard Kerik attempted to enact revenge on his ex-friend and former attorney, Joe Tacopina, Kerik, through former co-defendants, the New York Daily News, published some unsubstantiated vicious accusations. “outrageous” lies and a "hit piece" against Tacopina involving drugs, infidelity and other ugly epithets. Joe Tacopina was later quoted as saying, felon Kerik's defamation suit was "a conspiracy between two unethical newspaper reporters ... and a convicted felon and liar." Well, Tacopina fired back with his own $5million defamation suit against felon Kerik whose own counterclaims and bar complaint against Tacopina were dismissed by the court! Now Tacopina finally gets his day in court in the form of a jury trial scheduled for early fall (Tacopina v Kerik 1:2014-cv-00749, S.D.N.Y.). In anticipation of this trial, felon Kerik and Tacopina have agreed to a "confidentiality stipulation". It appears felon Kerik can dish it out but apparently can't take it. We can only imagine the juicy deets Tacopina has on felon Kerik. We may never know because of this confidentiality stipulation. Felon Kerik's "supervised federal release" is reportedly due for release October, 2016. Will anything divulged in this trial jeopardize his liberty and send him back to prison? Still dirty after all these years?